Home > News & press releases > What is Carer’s Allowance and who can claim it? 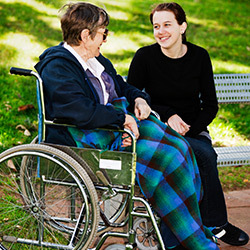 Carer’s Allowance is a benefit for anyone who spends a significant amount of time looking after a disabled person. Carer’s Allowance is a non-contributory benefit and therefore not based upon your National Insurance contributions. It is also non-mean-tested, so household income and capital won’t affect it; although there is a cap on the amount of money you can earn individually whilst claiming the benefit. Carer’s Allowance is a taxable benefit; however, carers will only have to pay tax if they have other sources of taxable income, such as occupational or private pensions or part-time earnings, that when combined takes them above the tax paying threshold. Do I qualify for Carer’s Allowance? The DWP will pay a Class 1 National Insurance contribution for each week you receive Carer’s Allowance. This will go towards you receiving a full state pension. If you are unable to claim Carer’s Allowance but are not paying NI contributions through paid work, you can still claim a National Insurance contribution to help protect your NI record. This is more important than ever following the introduction of the New State Pension. To claim Carer’s Credit, you need to be looking after someone for at least 20 hours a week. Caring for someone may also allow you to claim other benefits such as Income Support or Universal Credit. As they are both means-tested, your Carer’s Allowance will be deducted from your Income Support/Universal Credit, however you will receive a Carer’s Premium and may qualify for other benefits such as free prescriptions, free school meals etc. However, having an ‘underlying entitlement’ to Carer’s Allowance can increase any amount you are already receiving in the above benefits. A word of caution. If the person you care for qualifies for a severe disability premium, this will stop when you claim Carer’s Allowance. This could mean a significant drop in their income. 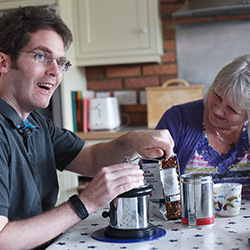 You can apply for Carer’s Allowance online at https://www.gov.uk/carers-allowance or by calling the Carer’s Allowance Unit on 0800 731 0297 (text phone 0800 731 0317, calls from typetalk are also welcome). Can Carer’s Allowance be backdated? Carer’s Allowance can usually be backdated for up to 3 months although there is the possibility of backdating it further. You need to ask for backdating as part of the application process. Where can I get free advice on Carer’s Allowance and welfare benefits? If you would like free initial, no obligation advice on welfare benefits, please email [email protected]. read Phil’s Universal Credit update article and view the accompanying video here. Philip Runciman is a welfare benefits adviser at Nestor. Nestor are independent financial advisers and associate members of Brain Injury Group. Prior to working for Nestor, Philip worked for the Department of Work and Pensions, and now undertakes benefit reviews, appeals, tribunals and provides general benefits advice on behalf of Nestor.